As a tennis coach, I spend a lot of time thinking about tennis racquets, both on and off the court. I’m often asked by my students and other tennis players what kind of racquet I’d recommend. Naturally, everyone’s style of play is a little bit different, so although there is no single best tennis racquet out there which is suited for everyone, I personally find my Babolat racquet, the AeroPro Drive Plus, to be the best for my needs both as a tennis coach and as an avid player of the sport myself. I’ve tried a lot of different racquets over the years and for a variety of reasons, I prefer the AeroPro Drive Plus over every other brand and model. Its extra length (27.5 inches) is offset by a design which makes it feel slightly lighter (and faster), and at the same time giving me a little bit of extra swing weight to work with. Despite its length, it’s actually easier to maneuver it than any other standard size tennis racquet I’ve used in recent memory. Of course, maneuverability and speed adds up to only half of the equation; you’re probably also curious about how much power, if any, this Babolat racquet adds to your swing. I’m pleased to say that it definitely delivers in terms of power. Thanks to its length, open string configuration and stiff beam, you’ll get a nice boost to your swing as well as a little more spin on the ball once you connect. As a coach and player, control is incredibly important to me in a tennis racquet and that’s one of the reasons why I love my Babolat. This racquet incorporates Babolat’s advanced Active Cortex technology, which, more so than just about anything else on the market today, puts you in charge of exactly where your shot goes from the baseline. Not only that, this Babolat racquet is amazingly fast while giving you the power and stability you need when you’re playing at the net. Babolat is a name which is well known to players, especially those looking for something to make their serves truly powerful – and this model definitely doesn’t disappoint here. Although it’s not probably the best choice for a beginner, intermediate and experienced players will be able to get a lot of play and perhaps even add a new dimension to their game with this exceptional Babolat racquet. If you’ve been playing for a while and you’re ready to upgrade to something more professional in terms of your tennis racquet, this is one that you should certainly give a closer look to. 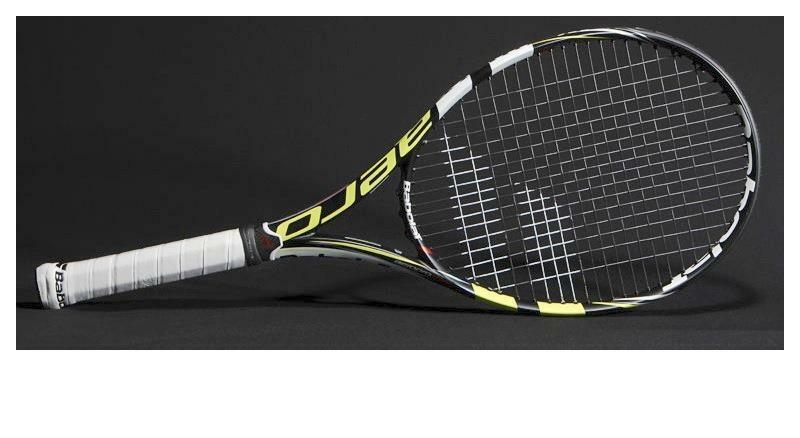 It delivers the speed, control and power that serious players are looking for in a racquet. I can say with confidence that my Babolat has changed my game for the better. Although a wise man once said, "your mileage may vary", this is a model which I can recommend without reservations to anyone looking for a little more out of their racquet. From "Why the Babolat Aeropro Drive Plus is my choice of tennis racquet" To "How To Play Tennis Efficiently And Become A Better Player"